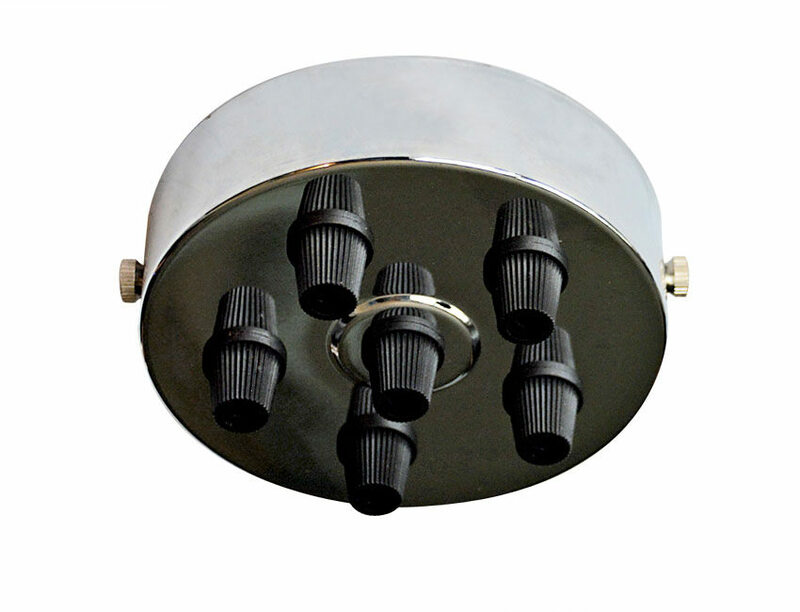 View our full range of Ceiling Roses & Hooks. 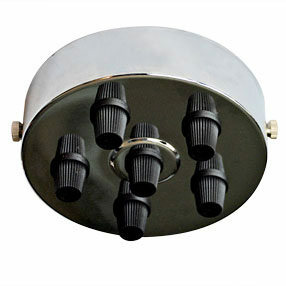 Polished chrome plated large ceiling rose with 6 black plastic 10mm cord-grips. Comes with an internal attachment for fixing to your ceiling. 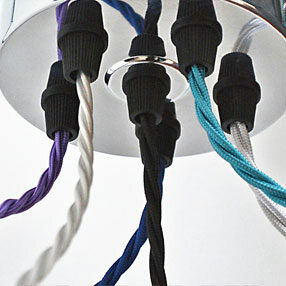 Just add some flex, some matching lampholders & bulbs. British Made. Dimensions: w=100mm, h=38mm. Combined reduced postage is charged when buying more than one item please see our Postage and Packing page for more details.